Aside from the many instances of product galleries, art and design showcases, and research documents emboldened and vividly brought to life, Gist truly proves its pragmatic and ergonomic value each time our team finds a new way to add narrative to raw data. Various organizations have already utilized Gist's potential to properly demonstrate the versatility of its many features, but one of the greatest attributes of the visuals and sharing that Gist provides is its ideal capability for research. In this latest example, we are able to present an important usage that would benefit the world of high education—administrators, faculty, students, and trade researchers alike. 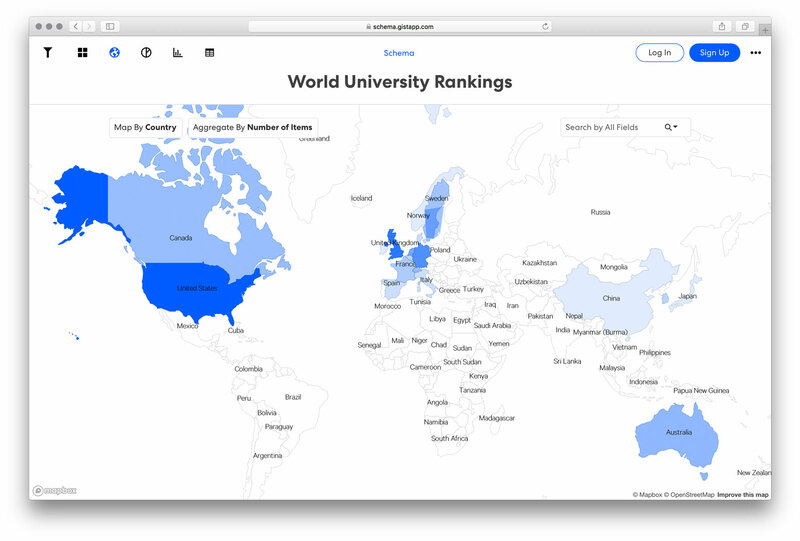 Here, we visualized the world ranking of the 200 top colleges and universities, using Gist to display and break down the rankings. 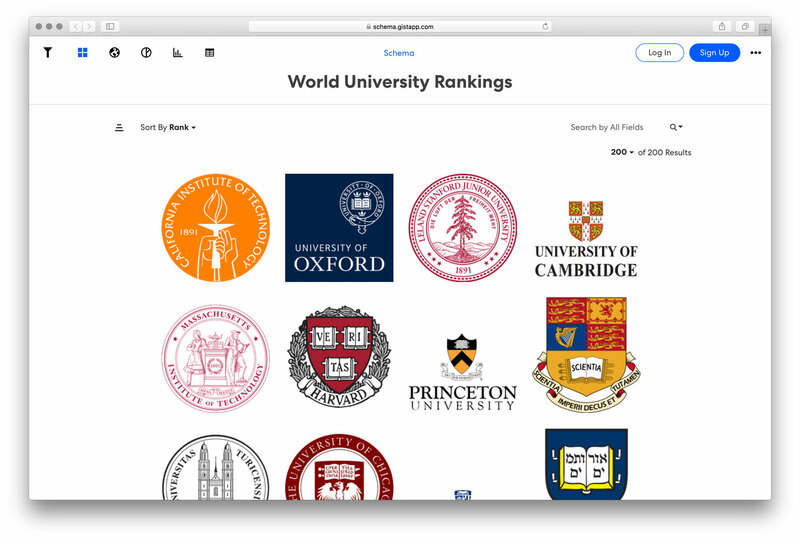 With Gist's accessible design, site visitors are able to not only quickly see the top of the ranking lists (in this case, the California Institute of Technology, the University of Oxford, Stanford University, University of Cambridge, and MIT took the top honors), but can re-arrange the rankings by order of country and international score, teaching score, each school’s ratio for research, student-to-staff numbers, gender statistics, and ratio of international students currently enrolled. Clicking on each individual school also provides a full overview of the institution’s ranking. Now imagine how Gist can bring your own information and ideas vividly to life.